When we’ve interviewed the experts and the new moms for pieces like this one or this one, one theme has come through time after time: every body is different, and every pregnancy is different. And that mantra is especially true when you’re thinking about prenatal workout classes. Some days, you may feel like you can take on the world; other days, exhaustion and (ew) nausea might have you going super slow, taking lots of breaks, and maybe even calling it a day and walking out of the stdio. 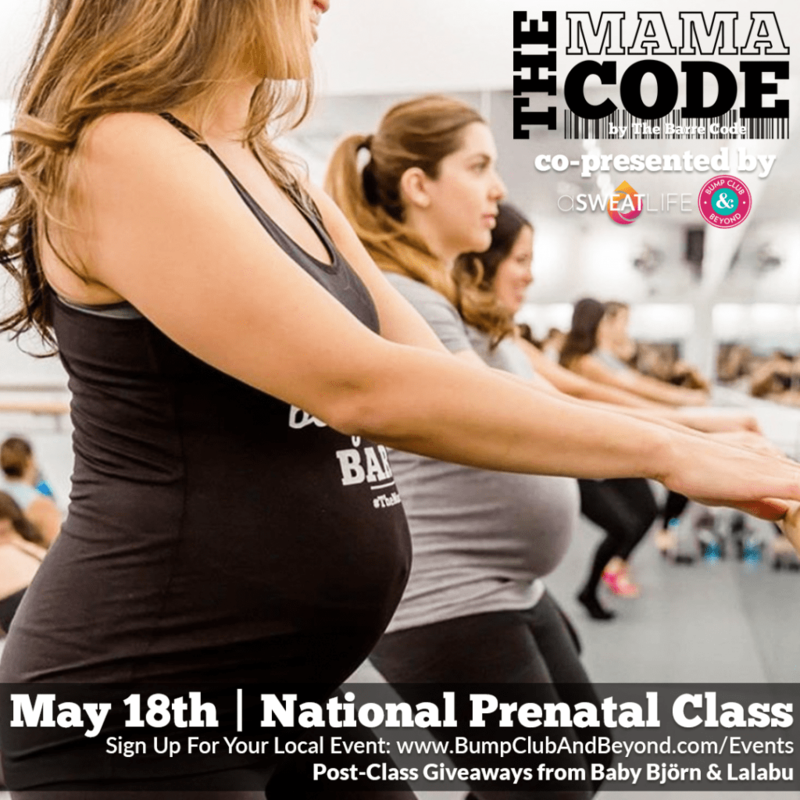 That’s why we’re partnering with The Barre Code and Bump Club for a prenatal barre class at The Barre Code studios across the nation May 18 (and bonus? Most of these events are totally free!). The Barre Code is a natural partner for workouts built for women wherever they are in their pregnancy journey. Clients of all fitness levels and ability are welcome in their studios, and their variety of class styles and custom-curated playlists lead to a unique experience that has every client leaving the studio feeling stronger and more confident than ever. And the Bump Club is on a mission to make friends for moms —connecting them with the best products, resources, experts and most importantly, with each other. Everyone’s pregnancy is special and unique, and this 50-minute guided workout is designed for you to take it at your own pace while learning the best modifications for your body, so you can feel strong and supported throughout your entire pregnancy. And don’t rush out after class. In addition to pricing specials and giveaways, two lucky mamas-to-be will walk out the door with a Baby Björn Mini Carrier or Lalabu gift card! What do I need to bring? Socks are required for class and are also available for purchase at the studio. Please arrive 10-15 minutes early to complete a new client form and tour the studio! Where and how do I get a ticket?